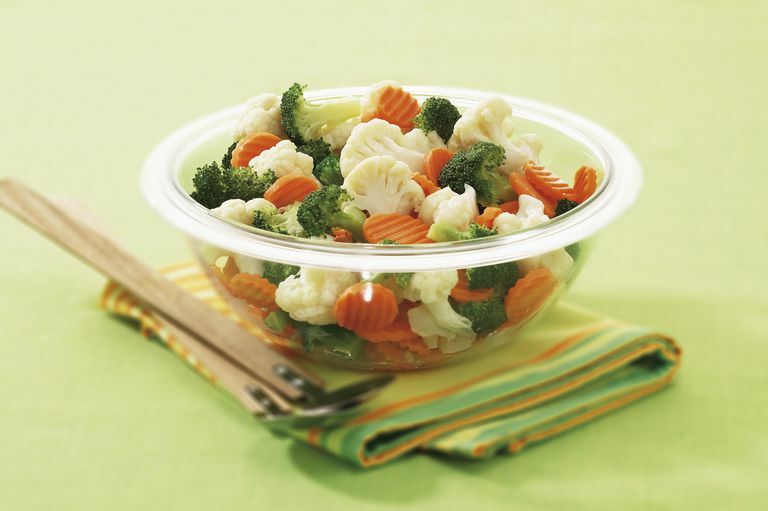 For most of us, eating leftover vegetables will not cause problems as long as they’re not spoiled and are reheated properly, which doesn’t have anything to do with the nitrates. There are two times when people should be cautious about nitrates. One of those times is during the first four months of life — but it’s not likely that babies that young are going eat leftover anything. If infants are exposed to excessive amounts of nitrates, it will be from well water that might be used to make their formula. The second time to think about nitrates is during the last 8 to 10 weeks of pregnancy. But again, this refers to drinking water contaminated with really high levels of nitrates — not the amount typically found in vegetables. You Didn&apos;t Know Vegetables Have Nitrates, Did You? Yes, they do. Some more than others. According to the U.S. Centers for Disease Control and Prevention, cauliflower, spinach, collard greens, broccoli, beets, and root vegetables contain more nitrates than other vegetables. And, know what? In the amounts found in the typical diet, the nitrates might be good for you. Let me back up a bit and talk about nitrates, why they frighten us and why they might be misunderstood. Nitrates are naturally found in soil and water. They’re formed when microorganisms convert organic wastes into ammonia, which reacts with oxygen to form nitrate and nitrite. Nitrates are found in fertilizer, some rodenticides and human and animal waste so that rural well water can become contaminated from nearby seepage from the fertilized soil, municipal or industrial wastewater, landfills, animal feedlots, or septic systems. Yes, that’s as nasty as it sounds. The federal standard for nitrate levels in drinking water is 10 milligrams per liter of water. If you have a well, and it has more nitrate than that, you may have to go through some extreme measures to be able to use that water. It involves filtrations systems and big tanks in your backyard. Now most of us don’t have to deal with rural well water and even people who have wells usually don’t have to worry about nitrates. So where else are they found? Sodium nitrate is a food preservative that’s often used to cure meat so you’ll find it in processed meats like bacon, ham, and sausage. Large observational research studies show that people who eat larger amounts of processed meats tend to have higher risks of various diseases like heart disease and some forms of cancer. So the natural response was to point the finger at the nitrates in the processed meat. But, processed meats are also high in calories, loaded with saturated fat and sodium. Plus, people who eat lots of processed meats also tend to eat fewer fruits and vegetables, get less fiber, and consumer more calories, smoke more, drink more, and exercise less. All in all, that’s a really bad combination. And maybe blaming the nitrates was going a bit overboard. It could be due to any or all of the other factors. In any case, as long as the nitrates are accompanied by vitamin C (ascorbate or ascorbic acid) you don’t have to worry about it forming unhealthy substances that can hurt you. Most of the time when you see nitrates on your ingredient list, you’ll also see vitamin C.
Vegetables that grow in the soil are going to contain some nitrate. In fact, about 85 percent of your daily nitrate intake — about 20 to 25 milligrams per day — comes from vegetables. And vegetables are good for you. If anyone tells you that vegetables are bad for you because of the nitrates or any other reason, you should run from them. Very fast. Some scientists posit that part of the reason for the goodness of vegetables might actually be due to those nitrates. Without getting super technical, it may be that nitrates are good for your blood vessels and help reduce blood pressure and keep the platelets in your blood from clotting too much or in the wrong places. The idea that nitrates might be good for you is still in the preliminary stage. But who really cares — we already know that vegetables are good for you. So eat more of them. What about reheating vegetables? If you reboil water, you’ll concentrate the amount of nitrates as the water evaporates. Maybe people fear that reheating vegetables does the same thing. The thing is, if you reheat your vegetables to the point where they’re dried up, shriveled and concentrated into a nasty lump, I doubt if you’d even eat them anyway. Eat your vegetables. Save the leftovers. Heat them and eat them. You’ll be fine. Centers for Disease Control and Prevention. “Toxic Substances Portal — Nitrates and Nitrites.” http://www.atsdr.cdc.gov/toxfaqs/tf.asp?id=1186&tid=258. Lidder S1, Webb AJ. “Vascular Effects of Dietary Nitrate (As Found in Green Leafy Vegetables and Beetroot) via the Nitrate-Nitrite-Nitric Oxide Pathway.” Br J Clin Pharmacol. 2013 Mar;75(3):677-96. http://www.ncbi.nlm.nih.gov/pmc/articles/PMC3575935/. Machha A1, Schechter AN. “Inorganic Nitrate: A Major Player in the Cardiovascular Health Benefits of Vegetables?” Nutr Rev. 2012 Jun;70(6):367-72. http://www.ncbi.nlm.nih.gov/pmc/articles/PMC3367800/. Minnesota Department of Public Health. “Nitrates in Drinking Water.” http://www.health.state.mn.us/divs/eh/hazardous/topics/sacnitrate.html. Minnesota Department of Public Health. “Nitrates in Well Water.” http://www.health.state.mn.us/divs/eh/wells/waterquality/nitrate.html.